Some of our customers are surprised to discover that we are a full-service auto repair shop, and often ask “so why are you called The Brake Shop?” We are a full-service auto maintenance facility in the Phoenix area. We are concerned not only with your vehicle's health, but for YOUR safety as a driver. Brakes are the number one safety feature in your vehicle. If you will trust us with your brakes, you can also trust us to take care of all of your automotive maintenance needs. With over 50 years of combined experience, our highly trained technicians are the greatest asset to our customers. 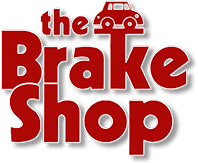 All of the technicians at The Brake Shop are ASE certified and carry a vast store of automotive repair expertise. By hiring only, the most skilled individuals to repair your vehicle, we have ensured that your vehicle will receive the best care possible. As a NAPA Auto Care Center, we offer you access to the NAPA Peace of Mind warranty which gives a 2 YEAR / 24,000 MILE warranty on parts and labor for all qualifying procedures using quality NAPA auto parts. This also provides you with an easy way to finance your repair through the NAPA Easy Pay Credit Card. Give us a call or stop by for details. Beyond the act of repairing your vehicle, we understand that everyone deserves a mechanic they can trust. We are aware that many people feel as If they can’t trust automotive technicians; we are on a mission to change this once and for all. Honesty is at the core of our business practice, so we keep an open line of communication with you at all times. If you have questions about what your car needs and why, we urge you to ask them; our answers will be straightforward, plain English and no nonsense. Our stance on automotive repair is one of complete service. Not only do we have towing services available, we can often provide you with SHUTTLE SERVICE back home, to the shop, or even to work. We also maintain relationships rental car agencies for your convenience, and can get you connected with an auto body shop in the event you are involved in a collision. At The Brake Shop, we genuinely care about our customers. Come and see us today to feel the difference that comes with having a mechanic that you can trust and actually cares. Many of our existing customers will sometimes stop by literally just to say hello or ask a quick question about their cars. So, don’t be afraid to stop by and check us out, even if you don’t need something done for your vehicle immediately.